A flight at Wildwood Brewing. Photo by Jacob Helleckson. It’s an excellent way to combine two of Boulder’s biggest passions: a bike and beer tour through town. 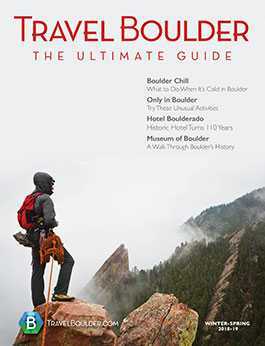 Boulder boasts 16 different breweries within city limits, so many that you could never visit them all in a single day. (That many pints on wheels could put you in jail, anyway.) That’s why we’ve created our favorite bike and beer tour through Boulder. Follow this guide and adjust as needed. Who: A bike and beer tour can be anyone over the age of 21, from bike owners to bike renters. Even long-boarders. If you plan to rent a bike at B-cycle, be prepared to race the clock to make sure your bike is checked in at the right times. B-cycle is bike share program in Boulder, with 41 stations throughout town. You can rent a bike for just $8 a day, as long and you check your bike into one of the stations every half hour. Otherwise, you’ll be hit with an overage fee. The $4 overage fee isn’t huge, but it adds up and it’s avoidable. Local tip: Don’t get a full pint of beer at every stop. Alternate between tasters and pints to avoid getting a little too tipsy. This could cause a struggle trying to operate your bike and, in turn, you might need to break out the first aid kit. Safety first. Where: This tour covers a loop in east Boulder. What you’ll need: Sunscreen and sun protection, hat, long sleeves. Water; make to sure have plenty to stay hydrated, especially if you’re not used to the high altitude. Snacks. Music and portable speakers. Athletic shoes, no sandals. First aid kit. Bike. A helmet. How long: A typical tour will take about six hours. This can easily turn into an all-day activity, depending on how many breweries you plan to hit and how long you plan on staying at each one. Start at the bike station on Arapahoe Avenue in front of the Boulder Community Hospital, 4747 Arapahoe Ave. From there, head west and then north a little over a mile down the bike path and arrive at your first stop, Sanitas Brewing Co. Enjoying the weather outside at Sanitas Brewery. Photo by Jacob Helleckson. 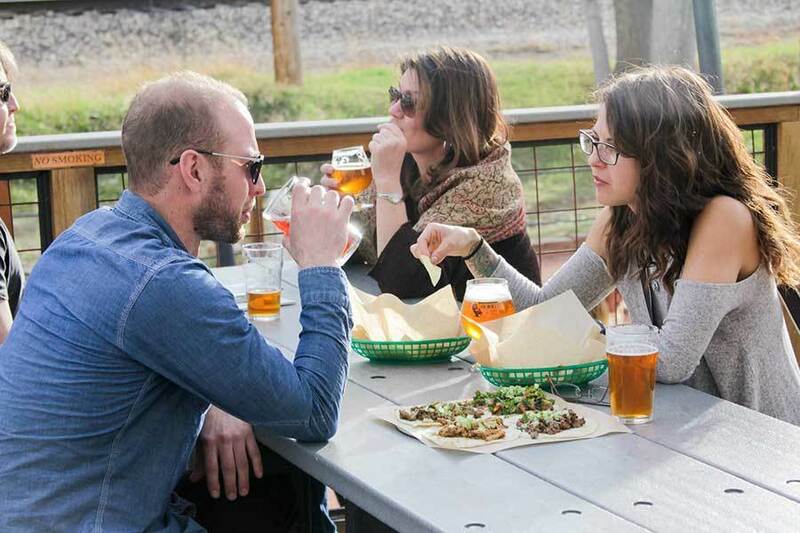 Sanitas Brewing Co., 3550 Frontier Ave., has a large outdoor area where you can catch some rays while enjoying your beer. The brewery sits right next to the train tracks, and when a train goes by the brewery gives discounts on its Train Beer (a session-style, low-alcohol rotating series), so make sure to take advantage when you hear the train whistle.Sanitas’s beers are made with organic barley and grains and the tap list is always shifting. Year-round you can find the Sanitas IPA, a quintessential Colorado hoppy American IPA. Trying to keep your BAC low? Order a root beer. Taps at Boulder Beer. Photo by Jacob Helleckson. From Sanitas, bike about a half mile north on Goose Creek Path to Boulder Beer Co., 2880 Wilderness Place, another brewery with a great outdoor space. Here, you can play yard games, enjoy a beer or order a meal. 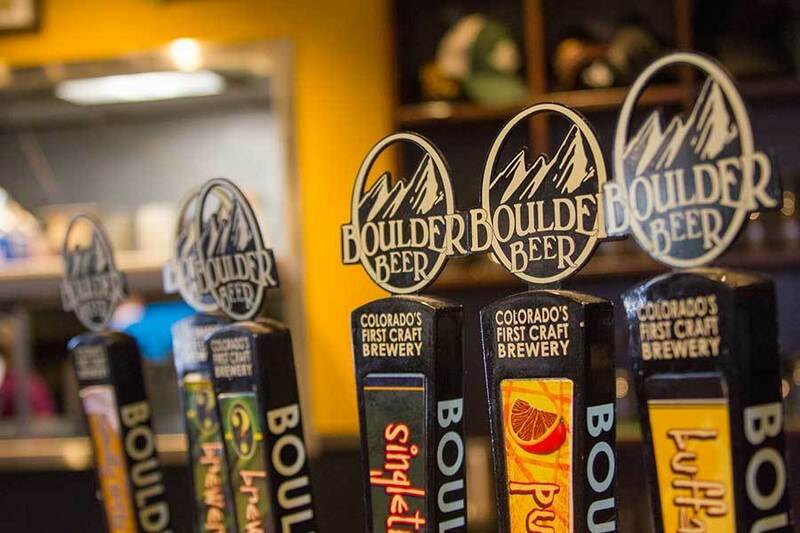 Boulder Beer was the first brewery in Boulder and claims to be Colorado’s very first craft brewery, opening in 1979.Not sure what to order? 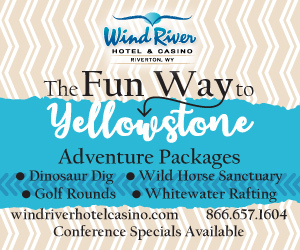 Ask about the free tours and beer samples. Two of Boulder Beer’s most beloved brews are the Hazed & Infused ale and the light and refreshing Mojo IPA, or for something darker and a little richer, the Shake Chocolate Porter is served year-round. Need a caloric boost? Boulder Beer serves up some casual munchies to go with your pint. 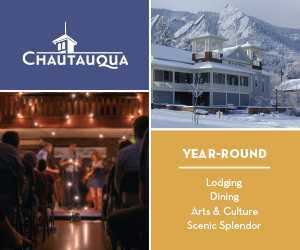 Depending on the time and date of your visit, you may catch live music or special events, like trivia. Then pedal over to VisionQuest Brewery. VisionQuest, 2510 47th St., Suite A2, is a small brewery located in the warehouses off 47th Street, open seven days a week. The atmosphere here is quaint and local, like you’re in a friend’s garage drinking a beer. This brewery is one of Boulder’s youngest, only open since 2015.VisionQuest aims to offer “interesting” beer, so expect to be surprised. Really. We’re talking Hibiscus Cranberry Gose. A London ale with cookie malt. If you can’t decide what to try, or cookie ale sounds too wild for your tongue, order the beloved coconut IPA. That’s right; coconut doesn’t only have to be reserved for the darker beers, stouts and chocolate blends. VisionQuest’s light and super hoppy coconut IPA is the perfect summer slurp. Want to learn more about VisionQuest’s, uh, vision? Request a private tour. Kettle and Spoke Brewery, 2500 47th St., Unit 12B, is just a short ride from VisionQuest, as it is in the same warehouse area. Kettle and Spoke specializes in small-batch beers all made by hand. Give one a taste and see if you can tell the difference. A light, summer option is the Blood Orange Saison.Fun fact for bike and brewers: Kettle and Spoke also serves as a bike shop, along with a brewery (hence the name). Here you get $1 off your first beer if you ride your bike there. Win. You can sit inside at the bar or out on the patio/parking lot tables. Travel a half mile east to your fifth stop, J Wells Brewery, 2516 49th St., Unit 5. This is another small, friendly brewery located in a small garage area. This is as intimate as it gets. This brewery is run and owned by one person, Jamie Wells. He’ll give you a tour of the tiny space, answer your questions or maybe you can watch him brewing his next creation.J Wells specializes in British and West Coast style beer. Share a taster flight with your crew if you want to experience the full spectrum of flavor. If you’re biking on a weekend, beware: J Wells is closed on Sundays. Pick up a T-shirt to bring home as a memory of your time in Boulder. You can really spend some time here; J Wells offers a stash of board games, and patrons have the option to sit inside or out. Upslope Brewery. Photo by Jacob Helleckson. From J Wells, head a little over a mile and a half to the Upslope Flatiron brewery location, 1898 S. Flatiron Court, Unit B. Upslope has another tap room in North Boulder. 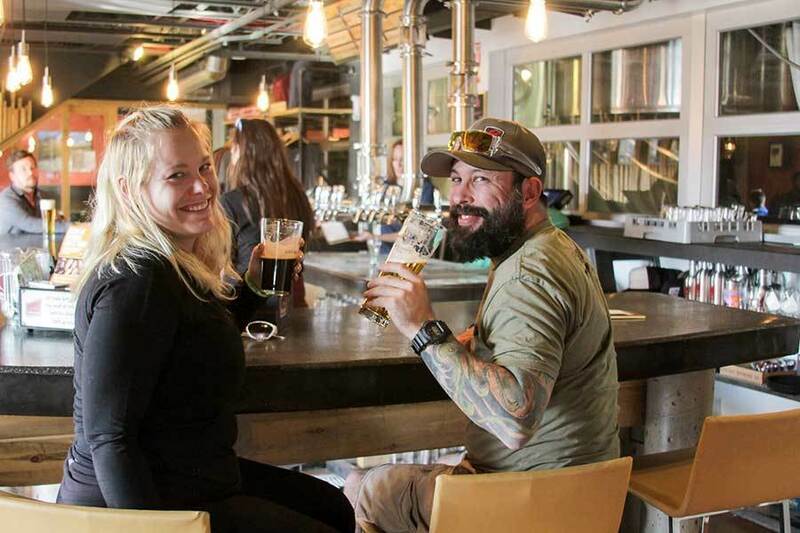 Upslope is well known for its local beers and annual Upslope Get Down Festival.The brewery has both a large indoor and outdoor areas to enjoy your beer. Upslope is always releasing new beers. If it’s available, try the Strawberry Mint IPA for something totally unique. Wildwood Brewing tap room. Photo by Jacob Helleckson. About a mile away is Wild Woods Brewery, 5460 Conestoga Court, the next stop on your brew tour. Wild Woods is yet another small, garage-like brewery, although a little more upscale. 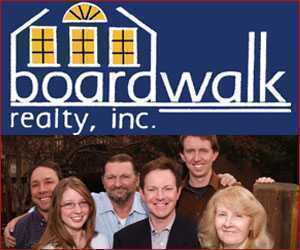 It is also located near the Flatirons industrial park. 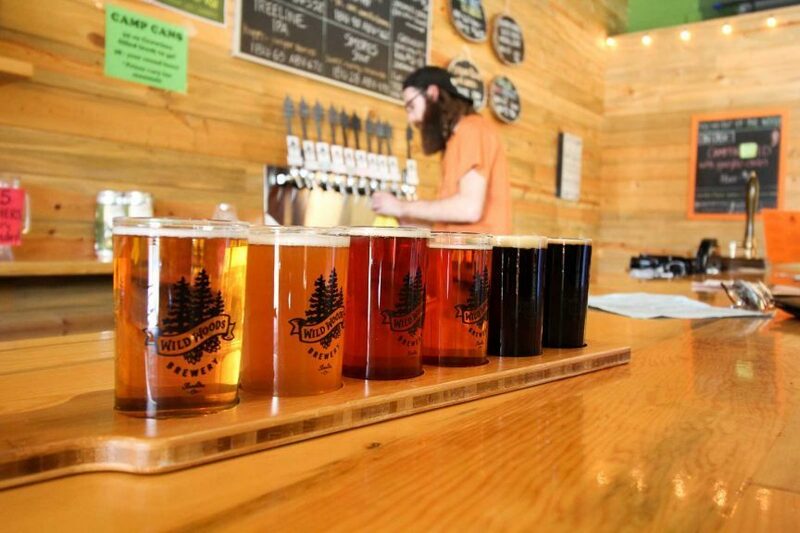 This brewery fits perfectly in Boulder, as all of its beers are inspired by the great outdoors.The brewery has a selection that includes the Treeline IPA, the Wildflower Pale Ale and the Campfire Red Ale, along with three others and rotating beers. Here you can sit indoors or out and enjoy the Colorado sunshine. Just across the street from Wild Woods is your last stop at new brewery, BRU Handbuilt Ales and Eats, 5290 Arapahoe Ave. BRU doesn’t just serve beer but delicious food, as well. Both the beer and food menu here is always changing, so you’ll always be able to try something new. There’s a small outdoor patio and a restaurant and bar inside.This is the perfect place to end your long day of biking and boozing. You’ll probably be starving, and Bru is just one block away from your ending point. There’s also an ice cream shop directly next door, if you feel like you’ve really earned it. Bonus: If you’re up for it, you can choose to continue your bike tour and check out Fate Brewing Co., 1600 38th St., another restaurant and brewery with a nice outdoor patio and yard games, just a short distance away. Return your rental bikes to any B-cycle station or the station where you started, at the hospital. Love this! Such a fun idea for a summer day and great tips! This is really an adventure. Brewery and biking are the best combination. Thanks for sharing.